Not all DIY eGPU experiences are created equal, but they all have one thing in common: You have to do a bit of research before you get to the plug-and-play part. In fact, you may discover that your particular laptop is not plug-and-play-ready whatsoever, requiring some software tweaks to function properly. The first thing you should do is read about the experiences other external graphics users have had with your laptop model. You’ll find a ton of eGPU users out there, and unless your model is particularly new or obscure, chances are high that someone has already created an eGPU setup with your laptop model. Several sites can help with DIY eGPU research. The first is eGPU.io, which is solely dedicated to the art of external graphics card configurations and an excellent resource—it even has an eGPU enthusiast Ultrabook buying guide. Other resources include the TechInferno and NotebookReview eGPU threads. Reddit also has an active eGPU community. One of the most common roadblocks people run across is what’s known as “error 12.” This happens when your Windows system decides it doesn’t have enough resources to run the graphics card. Error 12 can usually be fixed with solutions such as Setup 1.35, a paid software utility by Nando, one of the administrators of eGPU.io. For more references also check out YouTube, which is full of people running benchmarks or shooting video of their eGPU setups. Once you’ve figured out what kind of eGPU experience you’re likely to have, it’s time to start shopping for a graphics card. I wouldn’t advise going for a top-of-the-line card like the $1,200+ GeForce RTX 2080 Ti. Instead, I’d advise you to keep your graphics card budget around $200 to $300 or less. 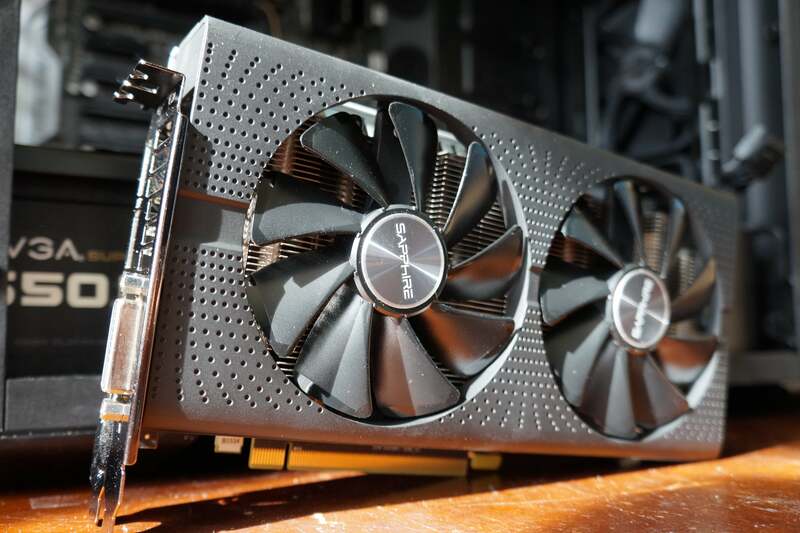 You can get a really great “sweet spot” card for under $300 that should provide at least a few years of future-proofing, such as the $200-ish Radeon RX 580, the $220 GeForce GTX 1660, or the $280+ GeForce GTX 1660 Ti. All are great cards for 1080p gaming with few compromises. If you want to go even lower in price then check out the Radeon RX 570. You can get this card for about $150 (or $130 on sale) and it provides good 1080p gaming performance at Medium to High graphics settings. As eGPU.io’s Nando told me (via email) when this article was first published, you’ll likely see better performance with a higher-grade card, but it’ll be bottlenecked by that PCIe x1 or x2 connection to your laptop. Sapphire’s affordable Radeon RX 580 Pulse graphics card. More importantly, there’s no guarantee that an eGPU set-up will work until you actually try it. 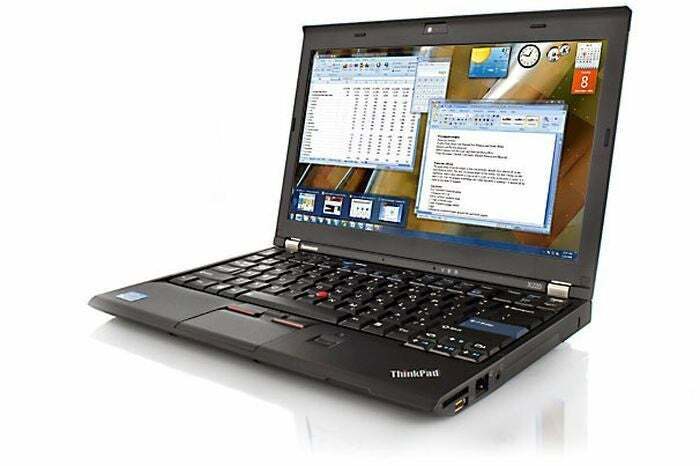 If you’ve done the proper research for your particular laptop model, the chances of a bad experience are fairly low. Nevertheless, there are always outliers, and you just might be the not-so-lucky one who runs into difficulties. The other decision is whether to go with an AMD or Nvidia card. At the time I put my set-up together most eGPU users tended to go with Nvidia, so that’s what I did. Since then, however, I upgraded to an AMD Radeon card due to the incredible value you can get compared to Nvidia cards that are typically more expensive for equivalent performance. One thing to keep in mind is that your graphics card needs its own power connector to work in an eGPU setup. That could be a problem for cards with minimal power requirements like the GeForce GTX 1050, which draws its power from the motherboard. 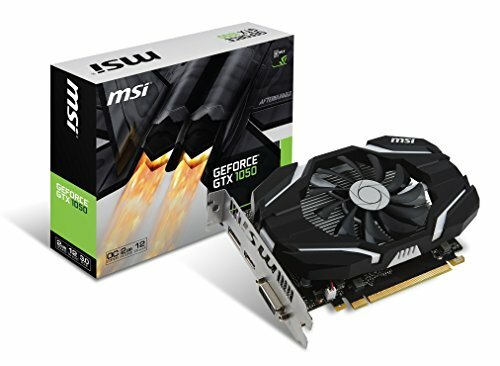 The lack of supplemental power connectors on energy-efficient cards like this MSI GTX 1050 can actually complicate eGPU setups. If you like the looks of a card like the RX 560 or the GeForce GTX 1050 I’d advise looking for a similarly overclocked card that comes with a power connector. The Radeon RX 570 is a far better performer for a similar street price to the GTX 1050, though. 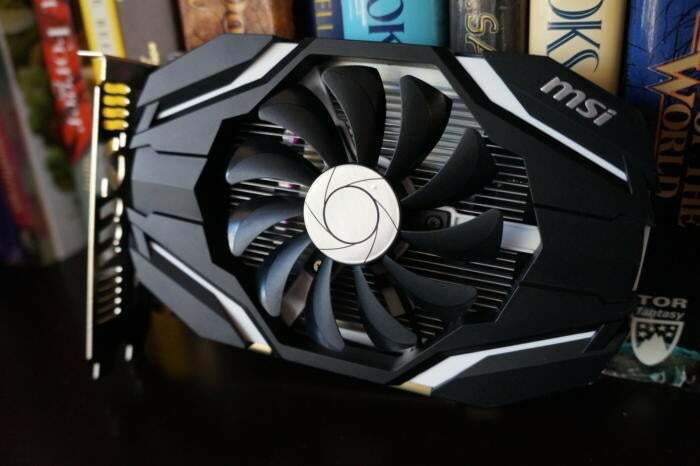 For more graphics card buying advice check out our regularly updated roundup of the best graphics cards for PC gaming. Along with your graphics card, you’ll also need a power supply unit (PSU) in a DIY eGPU build. There are many reputable brands of PSUs out there, including EVGA, Cooler Master, Corsair, and Seasonic. Alternatively, you may only need a power brick similar to what powers your laptop. Take Nvidia’s GTX 1050 Ti graphics card, which requires 75 watts of power, according to Nvidia’s specs. 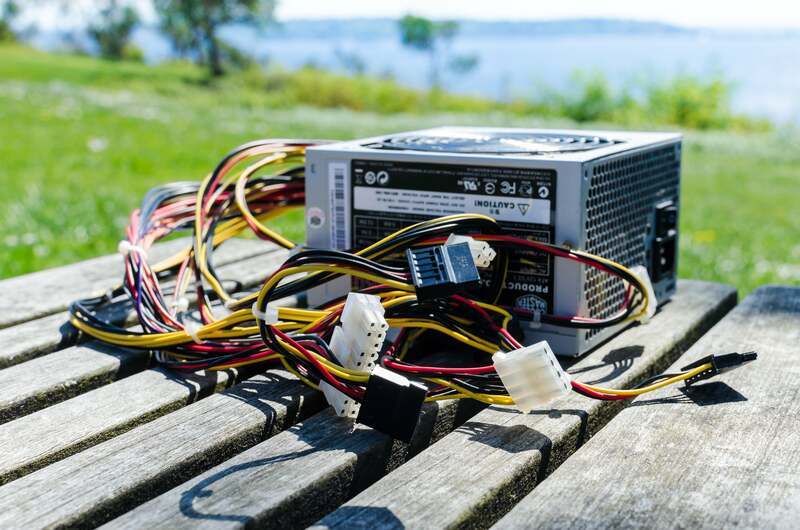 Nando advises that your PSU needs about 15 percent more power than what the card (not the system) requires, meaning a 75-watt card will need at least a 90-watt power supply. Personally, I just went with a semi-modular Corsair power supply because a standard PSU is so easy to find. PCWorld’s guide to picking a PC power supply can help you make smart buying decisions. Next page: Setting up your DIY eGPU.